Scandicci, only 6 kilometres from Central Florence, is a small modern town surrounded by pleasant hills, accented by historic-artistic elements that render them especially attractive. The Scandicci area spreads from the banks of the river Arno in the north to the Val di Pesa in the southwest. In the town, the most remarkable element is the Castello dell’Acciaiolo, a small crenellated fortress lined with stunning garden and a venue for events and concerts, especially in the summer. Built in the beginning of the 14th century by the Rucellai family, the castle is named after the Florentine Acciaioli family, who later became its owners. Still in its historic centre the churches of Santa Maria a Greve and San Bartolo in Tuto stand out, which gather precious artistic testimonies, such as the 14th-century panel of the Madonna with Child by Giovanni da Milano. On the hills of upper Scandicci, where a castle used to stand during the Middle Ages, are the Church of San Martino and the structure of Villa Passerini, with the annexed former Agrarian Institute. There is no shortage of sites to discover in every hamlet or village of the surrounding area. Near Bagnese, the Church of San Giusto a Signano is worth a trip, with its typically 17th-century facade, a double segmental arch, and preserving several artworks such as the 13th-century frescoes attributed to Bernardo Daddi. Higher up stands the pretty village of Mosciano, at whose centre we find the church of Sant’Andrea, which holds works like the 13th-century frescoes attributed to Corso di Buono and the 13th-century panel of the Madonna and Child by the Pistoia-born painter Manfredino d’Alberto. San Martino alla Palma is one of the most beautiful hamlets in the Scandicci region. Its principal sites are the 16th-century Villa Torrigiani and the ominous parish church from the 16th century with a panoramic loggia. In the nearby village of Rinaldi stands Villa Antinori, which was converted in its entirety at the beginning of the 20th century. In Viottolone, preceded by a long avenue of trees, Villa di Castelpulci rises on the hilltop, a magnificent country residence belonging to the Riccardi family, which still maintains its spectacular 18th-century appearance. In Settimo, it is worth taking a break at the ancient Pieve di San Giuliano, of Romanesque origin. The church, which was reworked in the 17th century, guards the venerated Madonna of the Flowers, a terracotta piece painted in the style of Donatello. However, the most significant site in the whole Scandicci district is the Badia di San Salvatore e San Lorenzo: the church (of Romanesque structure) and the adjoining museum, are enriched by many works of art, starting from the Chapel of St Jacob, decorated with frescoes in 1315 by Buffalmacco, where several frescoes by Domenico Ghirlandaio can be admired. 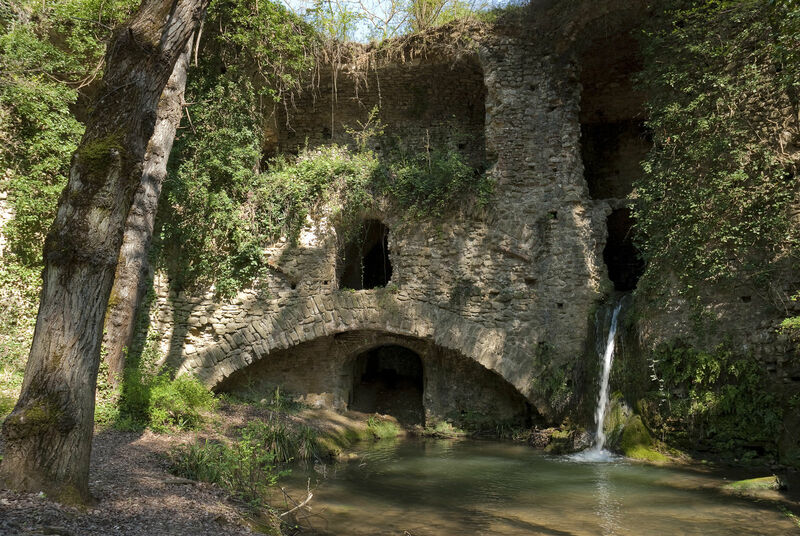 All that remains are the Museum of Palaeontology and Minerology of Scandicci, the imposing ruins of Mulinaccio, near San Vincenzo a Torri, and the opportunity to immerse yourself in nature by visiting the Park at Poggio Valicaia.